Are you a safari enthusiast or enjoy elephant and lion prints? Try these on for comfort. Our 3 shirt gift pack is perfect for all animal lovers, especially those that enjoy the wild and untamed regions of the African savanna. All three shirts are printed on natural tan ringspun cotton tees. The lion mane print is front only and printed in black. 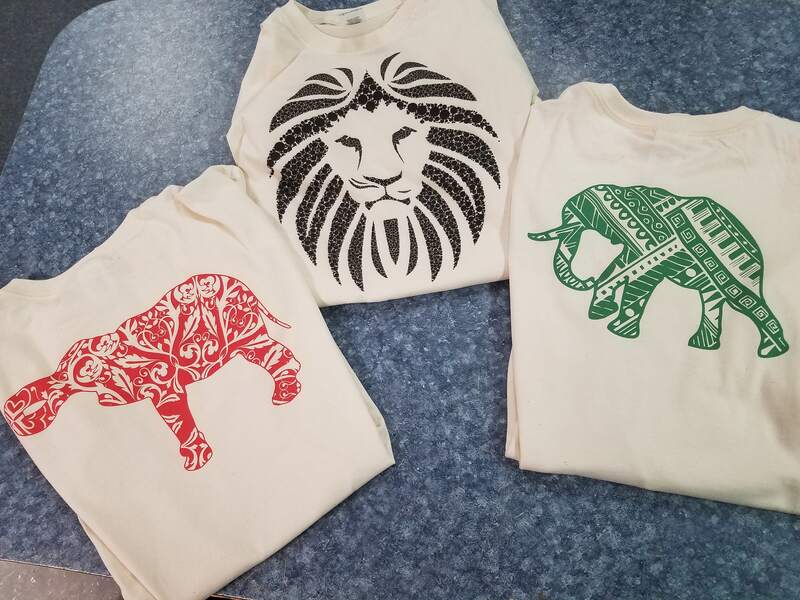 The elephant prints feature a front left pocket design and a larger full size on the back in each respective color of reddish clay and green. Get yours now as a discounted 3 tee shirt gift pack. Printed in the US of A.